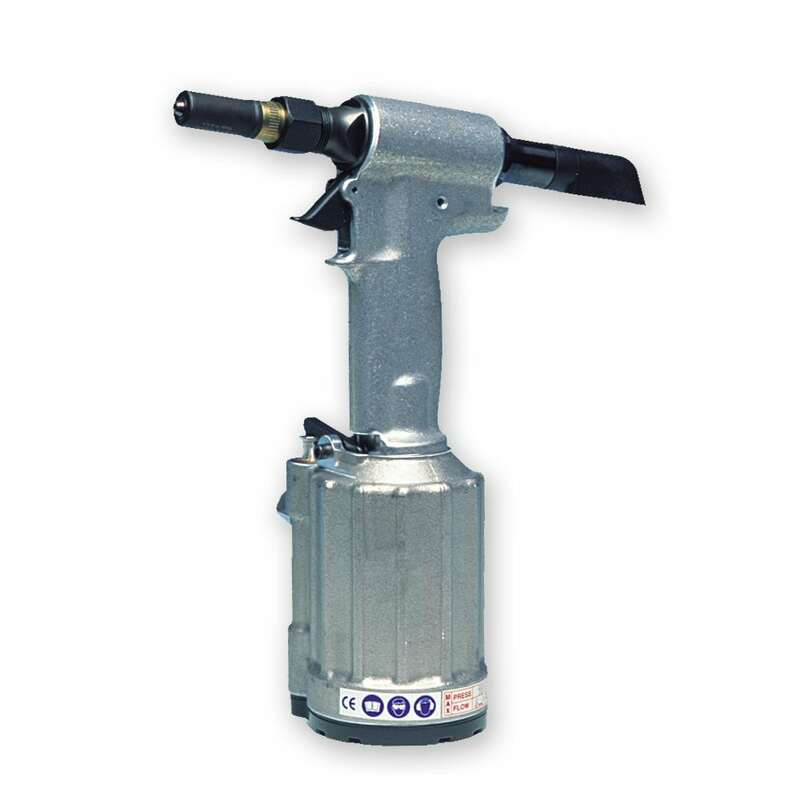 The Model 2022 is a lightweight, high-speed tool that is well-suited for both production and maintenance/repair applications where 1/4", and smaller, diameter (standard and extended grip) blind rivets are used. The 2022 features an in-line long stroke piston for production rates of up to 30 installations per minute. The 2022's ergonomically designed handle and light weight (5.4 pounds) combine to minimize operator fatigue. Contact us online or call (866)748-3876 for ordering and shipping information on the Huck 2022 Pneudraulic Tool / Huck Model 2022 Rivet Gun. Contact us online or call toll-free (866)748-3876 in the U.S. and Canada for help with the Huck 2022 Pneudraulic Tool / Huck Model 2022 Rivet Gun.